Do you have trouble following through on your ideas? Do you tend to start things but struggle to finish them? This is something many of us can relate to. You get a great idea or feel called to do something new. Feeling really inspired and energized by it, you start with lots of motivation and momentum. But at some point your motivation drops off. The momentum slows. You abandon your great idea. You feel disappointed, defeated and guilty. Why don’t we follow through on our great ideas? And how can we clear those blocks? Keep reading for four big blocks and how to bust through them! This is a big one. The fear of failure keeps us stuck, scared and frustrated. But there’s a simple solution. The solution is to take action without any expectations. You don’t have to do everything. Just do one thing. If you want to start a podcast, record that first episode using whatever equipment you have on hand, even if it’s your phone, and publish it. Don’t expect anyone to listen to it. Just do it. Do the thing you want to do and don’t worry about the results. If you want to start a jewelry business, just make that first piece and put it up for sale on Etsy or whatever platform you like. Have zero expectations of anyone buying it. Just get it out there. This goes for anything. Do the thing you want to do and don’t worry about the results. It doesn’t matter if no one sees it, hears it or buys it. What matters is that you get into the energy of creating. When you do this you shift your vibrational frequency. Simply doing the thing you love puts you into an energy of creativity and joy. 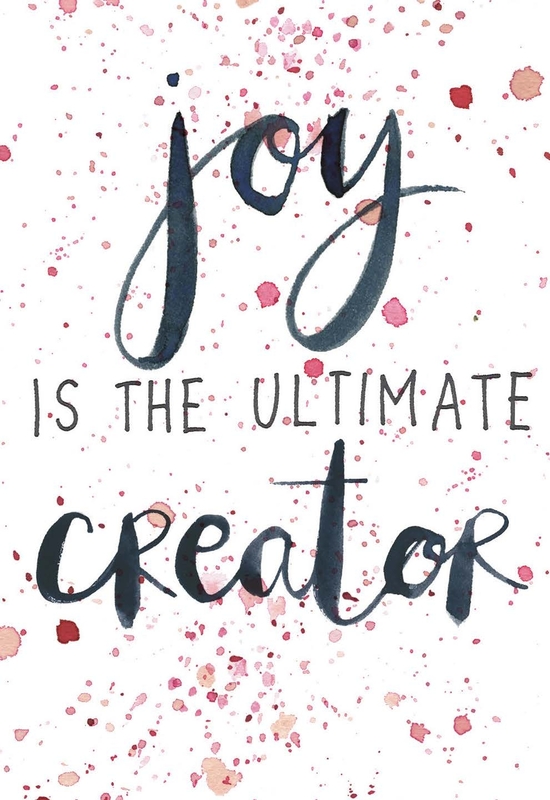 And remember, joy is the ultimate creator! When we focus on having fun and being in a joyful state, we attract what we want. When you’re scared to fail, or even to not do as well as you hoped, follow this tip to get into action and then follow through. When you remove the expectation and just do what you enjoy, you can’t fail. Focus on just doing. Once you start creating, the next steps will be presented to you. I’ve offered up this tip before, and I will continue to emphasize it because it’s really powerful! So what if it’s been done before? There are FAR more people in need of your gifts than there are people giving those gifts. Write that down and make it your mantra for the next 40 days if you need to. There are far more people in need of my gifts than there are people giving those gifts. It doesn’t matter whether you want to become a full-time life coach or start up a side gig as a makeup artist. The world needs your talents. Yes, other people have done it. Other people are doing it right now. But no one does it in your unique way. Often we don’t follow through on our great ideas because we get so overwhelmed by how much we need to do to achieve the end result. Again, the answer here is a lot more simple than you may think: Take lots of little right actions. As I’ve shared before, this is the key to doing anything, no matter how big it is. Here’s an example scenario to illustrate what little right actions look like. Let’s say you work 9 to 5 at a corporate job, but you want to become a yoga teacher and open your own studio one day. Keep your focus on those little right actions and they will add up fast! This is how you follow through on your great idea. Each day, commit to one little right action. The definition of “little” will vary from day to day. Maybe one day you can devote a few hours to it, whereas on another day you’re so busy that you can only spare five minutes. That’s totally fine. Completing one small action each day is far more powerful than starting and abandoning 10 different tasks. 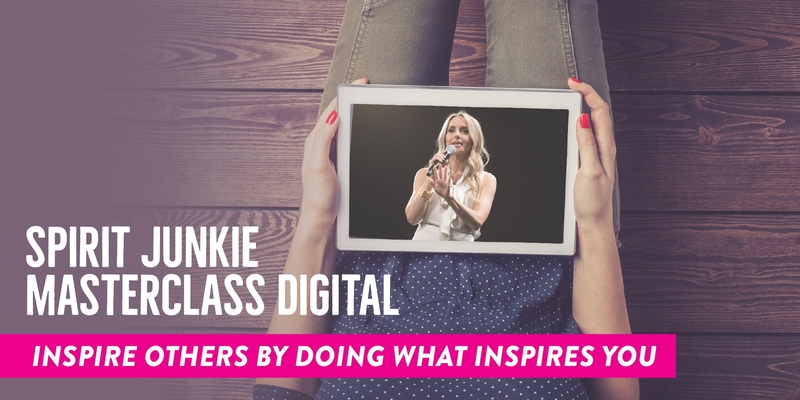 One amazing little right action you can take today is to get on the waitlist for my Spirit Junkie Masterclass Digital Course! If you feel called to inspire others by doing what inspires you, this is a truly powerful step to take. Enrollment opens in June 2019, and you’ll be the FIRST to hear about it! The Spirit Junkie Masterclass Digital Course is an online course that helps you gain the confidence and tools you need to live your highest purpose, make an impact and earn for your great work. Get on the waitlist and be the first to know when enrollment opens in June 2019! We get comfortable with what we perceive to be safe. When you’re scared to step outside your comfort zone, you’ll never follow through on your great ideas. This is because as soon as you have to try something new or encounter an obstacle, you’ll get scared that your discomfort is a sign that something is wrong. Stepping out of your comfort zone will require courage. But it’s much easier to do something a little gutsy when you have faith that you’re being guided! From a spiritual perspective, your work is to strengthen your faith and practice surrendering. Where would you have me go? What would you have me do? What would you have me say? And to whom? I suggest following this prayer with a meditation in which you quiet your mind and open up to receive guidance. A few minutes of stillness are all that is required. Once your faith is strong, gather spiritual proof! Once we do something for the first time, we have spiritual proof that it works. By test-driving the thing that takes you out of your comfort zone, you will be able to know that it feels safe. For example, early in my career I really wanted to give talks, but I’d never spoken before an audience so I was scared to get up with a microphone in my hand. I needed to test-drive it. I set up a talk at a community center in my neighborhood and invited everyone I knew. I rehearsed until I knew my talk well. And then I went out there and gave it. As soon as I did it once, I knew I could do it forever! My doubt dissolved. As you strengthen your faith and begin to amass spiritual proof, you’ll quickly learn that discomfort is not a sign that you’re going down the wrong path. You’ll welcome it as a sign of growth and you will know you are being guided and supported. You will also learn that obstacles are detours in the right direction. Your path may take surprising twists and turns. But as long as you stay in faith and take action, it will unfold before you. Don’t forget to celebrate the miracle moments! For a long time I had a “What’s next?” mindset. I would work hard to achieve a goal, and once I did I’d immediately be focused on the next thing. Not surprisingly, this mindset did me no favors and almost made me burn out. I didn’t take the time to celebrate the awesomeness! I have since learned how important it is to take time to celebrate the miracles and have fun along the way! Acknowledge your miracle moments and celebrate them. You don’t need to throw yourself a party for sending an email, but the simple act of crossing it off your to-do list and savoring the satisfaction and joy of taking that step will go a long way. Our energy creates our reality. Ride your positive momentum and it will multiply. Celebrate the big achievements and even appreciate the temporary slowdown that might follow them. During that slower period you can re-energize and clarify your desires. Having fun along the way is the fastest way to get what you want! Ready to go big with your desires? Check out Spirit Junkie Masterclass Digital Course! If you’re ready to go big with your desires, get on the waitlist for the Spirit Junkie Masterclass Digital Course! It’s a spiritual and soulful launchpad that helps you get clear about your vision, create a road map for your career and lay a strong foundation for massive abundance. You have inspired me to live my best life. A month ago I attended your webminar via YouTube. And I practiced to bring my mind into alignment. Miracles began to happen!! As you have told.. I m considering having faith as a full time job which makes me succeed in lots of things. As you mentioned about beginning a podcast.. I simply started the way you have told few months back.. I hope I will grab audiences. And I will have lots to share. Grateful my work has served you, Vrushali! Thank you Gabby! Perfect timing. I get so stuck that all my ideas just stay in my head. I’ve recently learned that my blocks are due to fear of failure but also fear of success since I associate business success with abandonment. My father has a successful small business but his business consumed him. As a result, he was absent. And my mother felt overwhelmed and took her frustration out on me. I have learnt that that doesn’t have to be my story. That with action I can be will push past those energetic blocks. Is this based on a ACIM? Yes! I love how the Universe shows up when we need it! I love the results of reading the prayers in the detox judgment book. I am always saying I will not judge. I am memorizing II Corinthians 5: 5:16-21 using Jim Kwik’s methods of memorizing. Gabby – your love for others and helping us to become like our father God who is love is precious. (vs 16 says from not won we regard no one according to the flesh and vs 17 – If we are in Christ we are a new creation. The old has passed away and all is new. Your blog encouraged me to step into those areas that are out of my comfort zone and celebrate the small miracles. Hi, Gabby! Thank you for entering in my life and giving me these amazing tips! I’m happy to hear that this post resonated with you! Thank you!! This was so perfect to me, I am starting a new business and yesterday I made my first oficial sale, today I woke up wondering if I can actually make this grow and accomplish my dream without letting fear interfere and sure enough through you the Universe gave me an answer. Thank you for these actionable, practical tips! One question I have is, what if I have multiple ideas on how I want to go big with my life? I’m pulled in different directions and I don’t know which path to go down. Do I just take a small step towards one and see what happens? Thank you for any guidance you can offer. Xoxo. 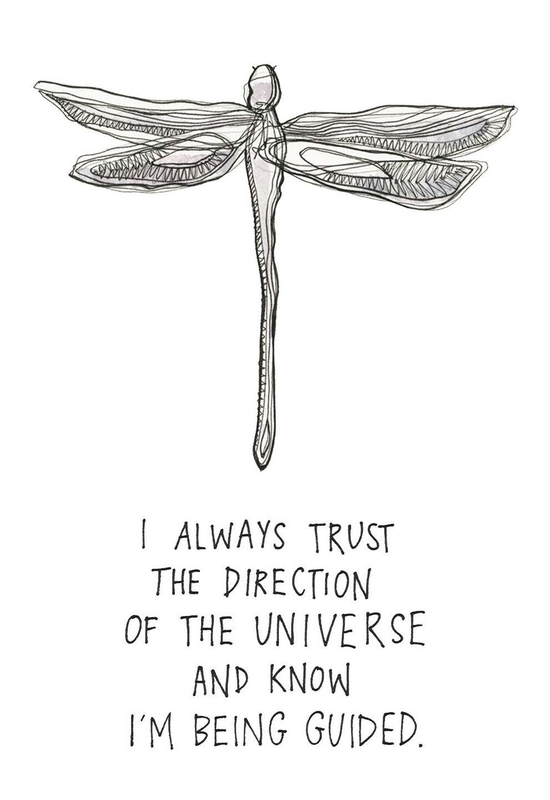 Definitely check out last week’s blog here: https://gabbybernstein.com/transformational-story/, I think it might give you some further insight. I would also suggest you pray for guidance and then stay open for what comes your way. And maybe with some work at really looking at your passions you can combine a couple into one direction/path? You’ve got this! Hi Gabby! Thank your for this video, and for the email…I love that you reminded us to focus on “What miracles would you have me do today?” When you said that, it reminded me that there are big and small miracles, and at different times in our lives we are called to different types and kinds. What I find most difficult though is when other people want everything to be one way – but that are so many different ways miracles happen, and people caught up in you, as a person, always doing things a certain way, when in the end, as a miracle-worker, you are called to do things in God’s way, or the Spirit’s way, not always the way others want you to. Sometimes, maybe, but not all the time, God changes things. However, like you said, follow through is really important too, and having the confidence you talk about… sometimes if too many people pressure you, you lose your confidence or somehow you lose your joy for whatever it is God is calling you to do. When it becomes hard and complicated, either because of the path, or people on the path, or for whatever reason…it is hard to persevere to see everything come to fruition. I always look forward to your videos and mailings because they always remind me that life doesn’t have to be this major pressure cooker that we are in, especially here in NYC…it is easy to get caught up in that idea or mentality. Thank you for helping us to stay grounded in the truth. It really does take a daily mindset shift to not get caught up in all that. Great takeaway! Thanks Gabby! My favorite tip is just starting. I’ve been wanting to get back to my blog. I’m going to take a little right action today. Even if I just write the title of a post. The Universe showed up for me as well through this poignant blog. Boy am I stuck ! Your approach is so un-daunting and un-intimidating! The right actions example was a perfect breakthrough for me. Many people give you the steps of success without sharing what it actually looks like! So simply and beautifully explained. I thank you for this timely guidance and action plan! I’m so glad to hear you found the tips useful and actionable, Janina! Does your masterclass include the how to’s with internet exposure?…as in for the computer illiterate as far as not even having instagram? I’ve looked everywhere to find this out but cannot find an answer to this particular question. Thank you Gabby. The words are there, the signs are always there but I don’t always see them or stop to see them; and when I do my ego sometimes takes over and the roll I am on spirals down. Good timing here. Truly love being reminded to celebrate miracle moments. That is my favorite tip and one that I practice daily! This post is so timely and beautiful. I signed up for spirit junkie masterclass and am excited to the next week module 2! I’m also interested in the miracle membership. Is it included in spirit junkie masterclass? Or do I have to sign up for this seperately? I love your work. Picking up your book “The universe has your back” a year ago drastically changed my life. What I thought would be my future husband left me for his ex. I then got fired from my job and spiraled further into a great big hole of debt. Less than a year later, I have moved closer to family and friends, have a higher paying job with great growth potential and time for activities I love. Through my practice I know my biggest issue is getting really clear on what I desire. There seems to be a block I can’t uncover to get clear on my purpose. I know I have a greater purpose to serve others while increasing my earning potential however I also long for companionship with a partner. I wish to have a family so badly however my clock is a ticking. I continually feel I need to do things in order… get out of debt, then earn more then find the husband then travel the world then have kids. At this rate I’ll have to adopt at 50years old. Is there a way to push through having to feel like I need to do all of this in order? Can you tell I’m not being patient? Thank you for your great work Gabby. You are truly awakening the world! Thank you for this blog, it’s exactly what I needed. In the last 4 months I have been trying to build up courage to write my book. Although what you talked about in this blog had played a part in the stagnant days, I have managed to push through my setbacks as much as I can. I would really love to know more about your process when youre writing your book? What do you do before you get in the flow and start writing? Do you have a a process or do you tend just write when you feel in flow? I struggle with a process. Sometimes I sit to write and nothing comes out or a bunch of crap comes out and other times I’m in flow but it’s very rare. I get frustrated and now it almost feels like a chore which is what I don’t want. I so needed to read this, been thinking of starting an inspirational business to help and inspire people people and keep hearing these voices that its been done before and what value are you adding by using quotes others have used before. Now i will say..’ SO WHAT’ There are far more people in need of my gift than there are people giving those gifts. Thank you so much for this. I especially love when you say “Don’t forget to celebrate the miracle moments!” So important! Gabby, this information was brilliant!! It opened my mind to a lot of internal struggles and things I need to grow through..
Much Love, Light, and Blessings to you dear, you are truly making ” a difference” in the world!